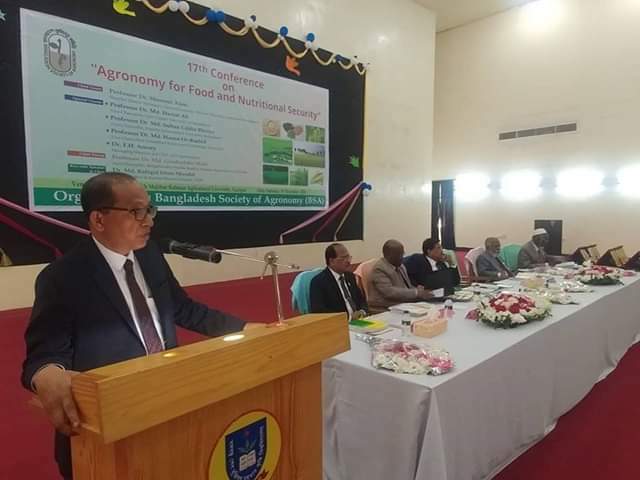 17th Conference of Bangladesh Society of Agronomy (BSA) on ‘Agronomy for Food and Nutritional Security’ held on 1st December at Bangabandhu Sheikh Mujibur Rahman Agricultural University (BSMRAU) Begum Sufia Kamal Auditorium. Professor Dr. Shamsul Alam, Member (Senior Secretary) General Economic Division, Planning Commission, Bangladesh was present as chief guest and Vice-Chancellor of the University Prof. Dr. Md. 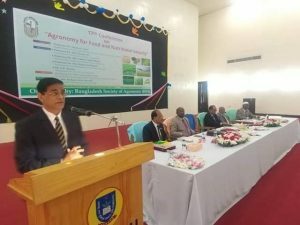 Giashuddin Miah was present as Chief Patron in the conference. The special guests were Prof. Dr. Md. Hazrat Ali, VC First Capital University of Bangladesh, Prof. Dr. Md. Sultan Uddin Bhuiya VC Ishakha International University, Prof. Dr. Md. Harun-Or-Rashid VC Patuakhali Science & Technology University and Dr. F. H. Ansary Executive Director, ACI Limited. Dr. Md. 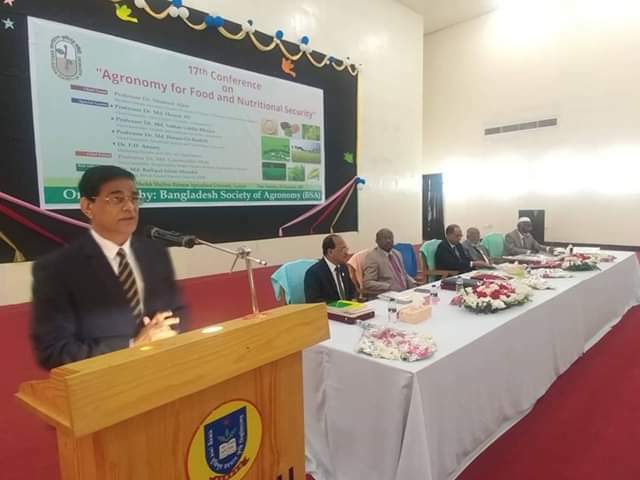 Rafiqul Islam Mondal, President, BSA presented the keynote paper and presided over the inaugural session. The ceremony also among others: Dr. Md. Abdul Jalil Mridha VP, BSA and Prof. Dr. A. K. M. Ruhul Amin GS, BSA. A large number of agronomist from the country attended the conference.